National Assembly PSUV deputy Pedro Carreño appeared on Globovision’s Vladimir a la 1 interview show today, and spoke on the recall referendum efforts against Maduro and the gubernatorial elections that are supposed to take place this year. Carreño explained that the elections for governor – which, given the term limits set out in the constitution must take place before the end of the year – are not a priority for the government, and that elections in general were not a fundamental right. Carreño strongly suggested that the elections would simply not take place. We’re living through an economic crisis (…) elections are not a fundamental right. A fundamental right is food, medicine, health. Article 63: Suffrage is a right. It shall be exercised through free, universal, direct and secret elections. The law shall guarantee the principle of personalization of suffrage and proportional representation. While all eyes have been on the Consejo Nacional Electoral (CNE) over its handling of the recall referendum efforts against Maduro, little attention has been paid to the 2016 gubernatorial elections. Since the last gubernatorial elections took place in 2012 and terms last four years, another election must take place this year. The CNE has not yet made any kind of announcement regarding the gubernatorial elections. 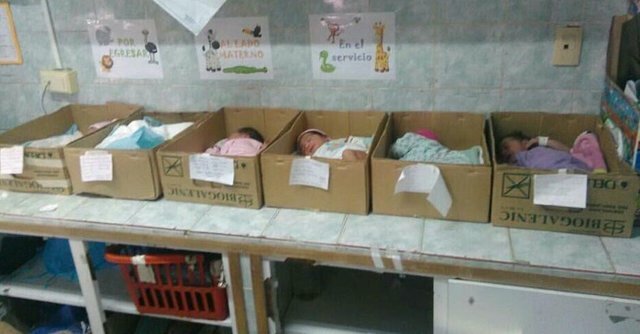 Yesterday afternoon, pictures taken inside a hospital in Anzoategui showing newborns placed in cardboard boxes due to a lack of medical equipment caused outrage on social media. 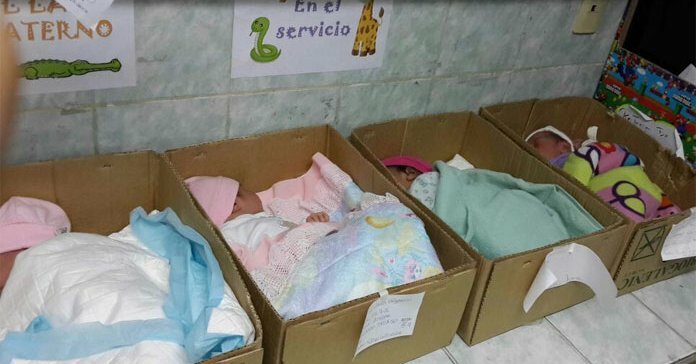 The pictures were first shared by the Mesa de la Unidad Democratica (MUD), which did not reveal the name of the hospital citing the institution’s wish to remain anonymous. Foreign Affairs Minister Delcy Rodriguez spoke at a meeting of the United Nations Security Council today, and offered Venezuela’s support in any effort to help bring an end to the ongoing conflict in Syria. From the Bolivarian Republic of Venezuela – which outlines in its constitution the development of peace not just as a principle and an objective but also as a right – we call for the right to peace of the Syrian people, for their right to development and for the fundamental preservation of the right to a homeland for the Syrian people. I’ve heard here that citizens are tired of their governments. No. We citizens are not tired of our countries, but rather of factional powers that are trying to rule the world. We are tired of that. [We are tired] of the lack of regulation, the lack of regulations because our governments submit themselves to the multilateral web that is the United Nations, and we submit ourselves also to international treaties. Maduro will not make an appearance at the United Nations General Assembly, which kicked off this week. Venezuela joined the U.N Security Council in 2014 for a two-year term. On September 16, Julio Borges – the head of the Primero Justicia (PJ) opposition party – shared a video through his Instagram account. The video calls attention to the fact that the soldiers and police officers who suppress protests are also suffering from the high levels of inflation, scarcity and crime that affect protesters. Borges sent the video with the caption, “We’re all living through the crisis. We all want to recall [in reference to the recall referendum against Maduro] it. Let’s all go to the Libertador Avenue on September 16! Soldier’s Daughter [through text message]: Dad, mom is still sick and we don’t have her pills anymore. [unintelligible] and there’s nothing at home. Dad, remember that the people you’ve ordered to repress are going through the same thing we are. We can’t go on like this, and you know it. 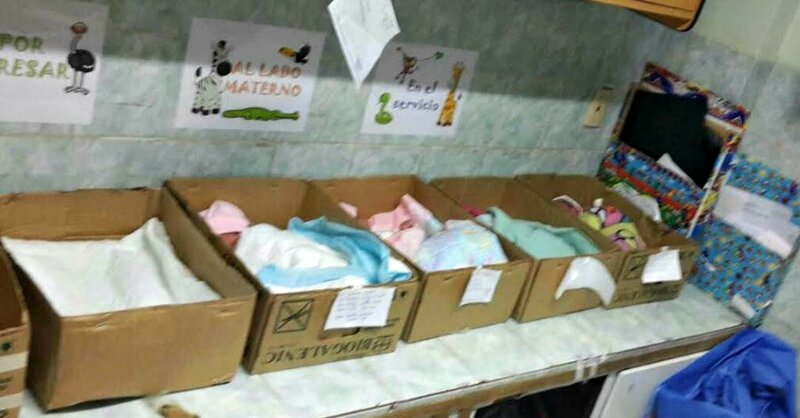 As a response the Servicio Bolivariano de Inteligencia Nacional [SEBIN] has arrested three people involved in the filming of the video. News of the arrests first broke on Monday, when the PJ party denounced that Marco Trejo, Cesar Cuellar and James Mathison had been arrested by the state agency. PJ described the three as “communication professionals”, suggesting that they were responsible for the filming of the piece. We want to make it clear that we as a political party were responsible for the video, not the three aforementioned professionals. At the same time, we want to stress that Primero Justicia‘s intention was not to call for disobedience or. much less, question the Armed Forces to whom we once again express our respect. The video was openly approved by us as an organizations because we are convinced of its legality and the pertinence of its content. The Primero Justicia party stresses the right to the freedom of expression, and that’s why we express our wish to have a peaceful country that is ruled by laws and a system of justice that serves the rights of all Venezuelans. The CNE is now 126 days behind its own schedule for holding the recall referendum against Maduro. The announcement came from Felix Arroyo, a MUD representative, as the CNE heads day six of its latest delay: announcing the date for the second step of the recall referendum. While the CNE announced earlier that the announcement would come no later than September 16, it has yet to make an announcement on the matter. The CNE could hold the collection of signatures from 20% of registered voters from November 3-5. Once completed, the CNE’s regulations state that the body would need “28 or 29” days to verify the validity of the signatures. Once validated, the CNE could hold the referendum as early as December 3. The recall could be perfectly held this year, even if [the CNE] delays the collection [of signatures]. If the collection of signatures from 20% of voters takes place in October, in November we could have the election. If they delay the [collection of the] 20% to November, the election would take place in December. A presidential [election] can be organized within a month, and it’s more complicated than a referendum because it involves the registration of candidates… and the campaign. National Assembly President Henry Ramos Allup spoke to reporters today about the damage that he thinks the CNE is doing to the country by delaying the recall process, saying that the CNE was “playing with flammable material” by refusing to allow the referendum to take place. Bus drivers staged a protest in Caracas today to demand that the Ministry of Transportation and Public Works increase transit fares. The drivers want the government-set price of bus fares increased from Bs. 45 to Bs. 60. Insecurity and a lack of repair parts for damaged vehicles also played a role in motivating the protest. Since Venezuela has the lowest gas prices on the planet (a liter of water is more expensive than a liter of gas), transit fares can be relatively low while netting a profit for the drivers. Our earnings aren’t enough to maintain our vehicles or maintain our families. The [company] that I work for has 100 [vehicles], but about 50 aren’t running. I was robbed three times in one week. They took my money and my cell phone. Vice-president Aristobulo Isturiz reacted to the protest earlier this afternoon by threatening to transfer authority over transit to “the public power” if the protests continue, since the striking bus drivers operate as private entities. Isturiz also suggested that the striking workers should set up working groups to discuss their dispute, and called on communities to “organize to make sure that plans are put into action“. Having received to response from the Ministry of Transportation, many drivers had begun to retire from the protest by 6:00 PM Caracas time.